I wasn’t active on SparkPeople during the first part of 2017. I became active again during the spring. I joined some good new sparkteams, and I started working on my health and fitness. The best part of the year (fitness-wise) was the summer. I completed two challenges: Yoga with Adriene’s 31-Day Revolution, and Leslie Sansone’s Great Walk Challenge (100 days of walking). Unfortunately, after that I kind of lost my motivation, and struggled to exercise the rest of the year. For 2018 my immediate goal is to exercise at least 10 minutes a day. Eventually I would like to work up to cardio 5 days a week, strength training 3 days a week, and yoga 3 days a week. Another goal is to do at least three charity walks during the year. I did two in 2017. For nutrition, I am going to work on staying within my calorie range. I am so glad that you got involved with our team when you started participating with SparkPeople in the spring. You are a huge asset to our BSG challenges, and I love chatting with you there! 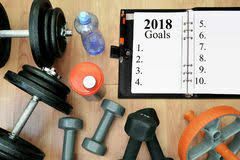 Your exercise vision for the year sounds great! I have no doubt that you will be successful! You did great last summer! It sounds as though continuing to join challenges helps you to stay on track with your fitness goals. Great job doing charity walk last year. 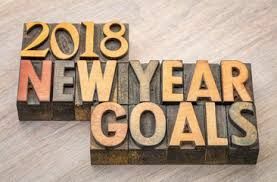 I like your goals for 2018! You've set some great goals. I need to work on mine. 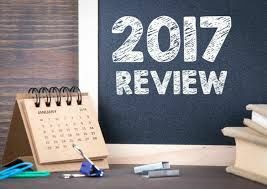 on your 2017 years goals for 2018.